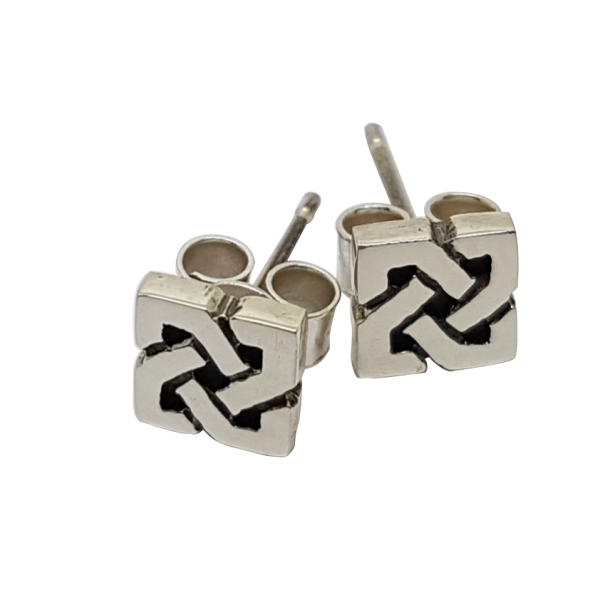 These stud earrings are from our ‘Cridhe’ collection, meaning ‘heart’ in Gaelic, and are made exclusively by Love from Skye on the Isle of Skye. 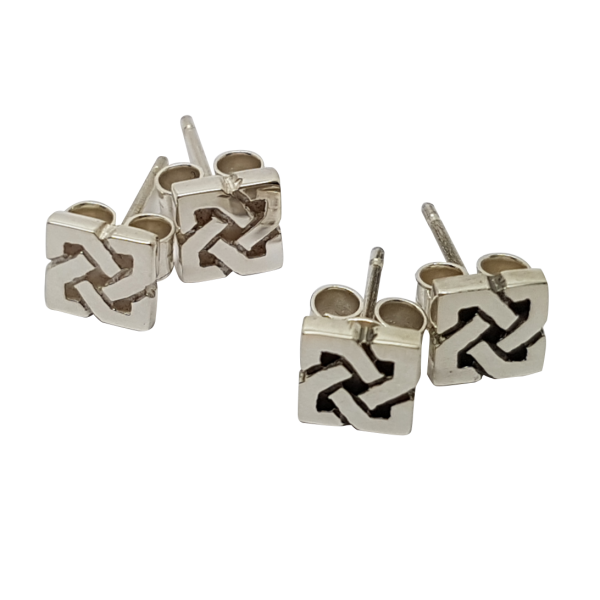 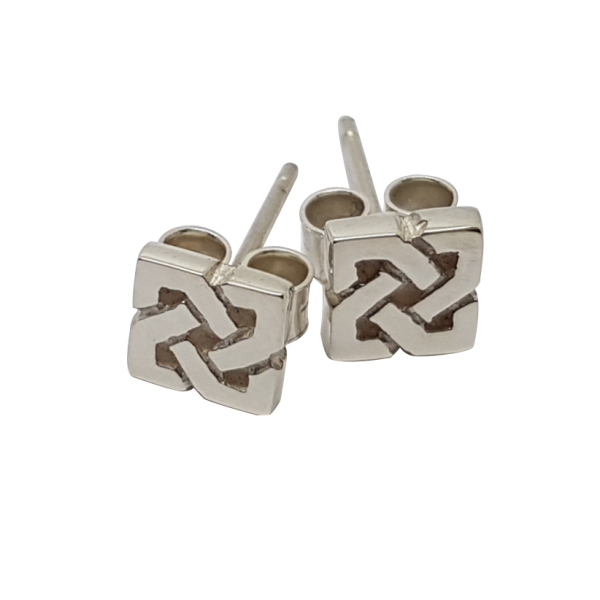 These closed knot-work Celtic stud earrings measure 6mm square. Using the options above you can choose to have the silver option of this design oxidised to darken the silver behind the detailing, as shown in images.